The Dazzling Sapphire, birthstone for September | Is This Mutton? In ancient Greece and Rome, kings and queens were convinced that blue sapphires protected their owners from envy and harm. 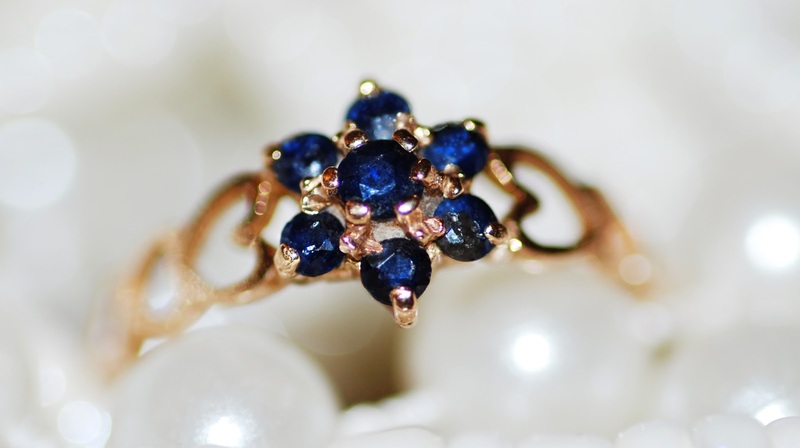 In the 12th Century, the sapphire was known as the most appropriate stone for ecclesiastical rings. The Cingalese believed that the star sapphire served as protection and a guard against witchcraft. The great Oriental traveler, Sir Richard Francis Burton, had a large star sapphire which he referred to as his “talisman,” for it always brought him good horses and prompt attention wherever he went. 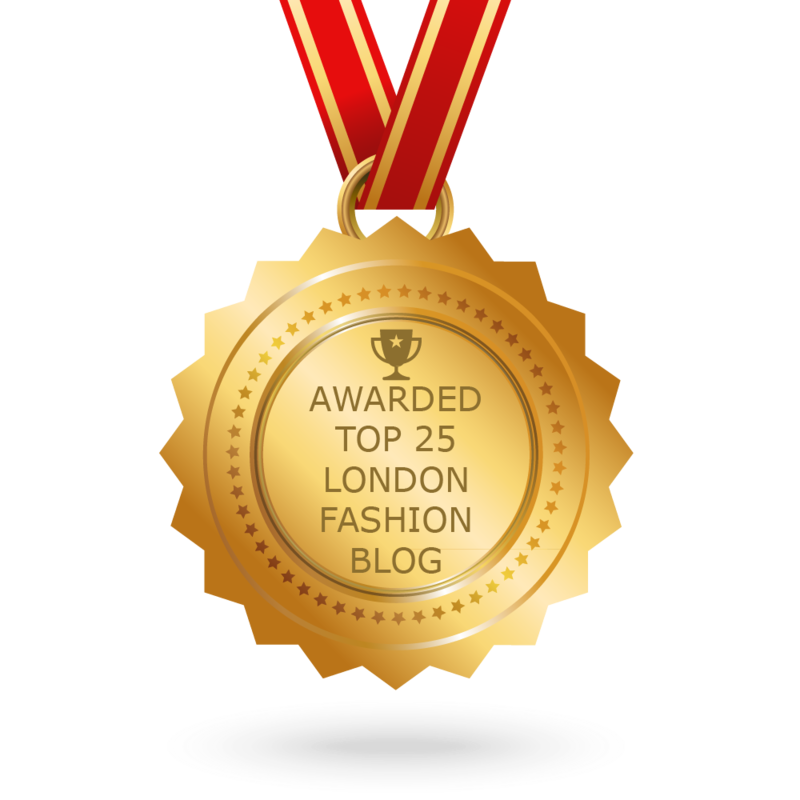 More recently, the sapphire is often the go-to jewel for A List celebrities. 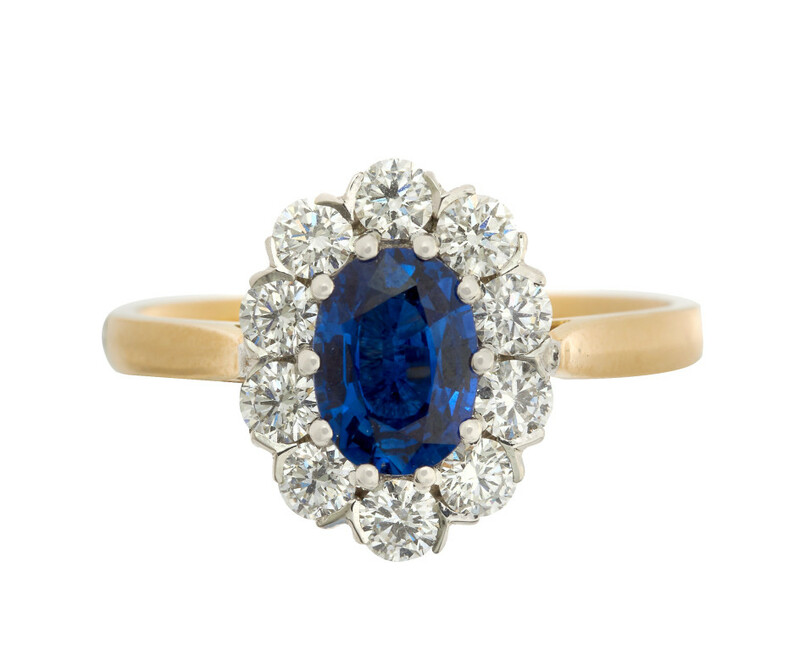 Princess Diana made sapphires fashionable in the 80s when it was the sensational stone in her engagement ring. The same ring is now worn by the Duchess of Cambridge. Celebrities with sapphire rings include Penelope Cruz and Victoria Beckham. Is The Mutton? also has a sapphire engagement ring. 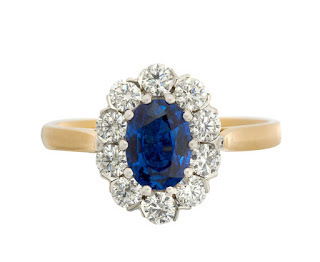 What type of stone is a sapphire? The sapphire is a corundum, an aluminum oxide with a trigonal crystal structure, in the same family as the ruby. The only difference between a ruby and a sapphire is simply the color. If there's a hierachy of gemstones in terms of hardness and desirability, rubies and sapphires probably narrowly come second to diamonds. Diamonds are listed as a ten in terms of hardness, sapphires as a nine. The attribute of hardness of the sapphire makes it a perfect choice for jewellery that needs to stand up to everyday wear, such as in rings or bracelets. Many people assume the sapphire is always blue. 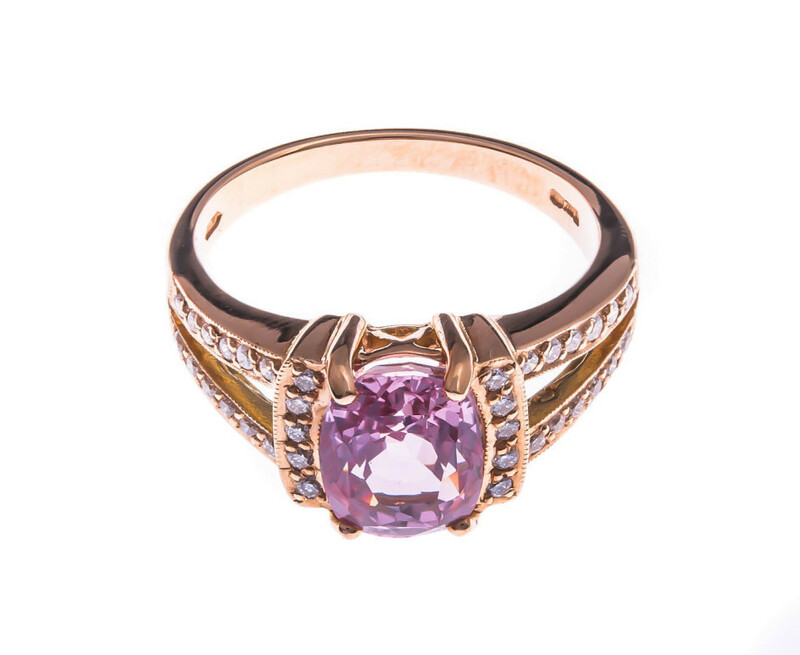 But the gemstone comes in an array of colors including violet, dark grey, orange, yellow, pink, green and black. 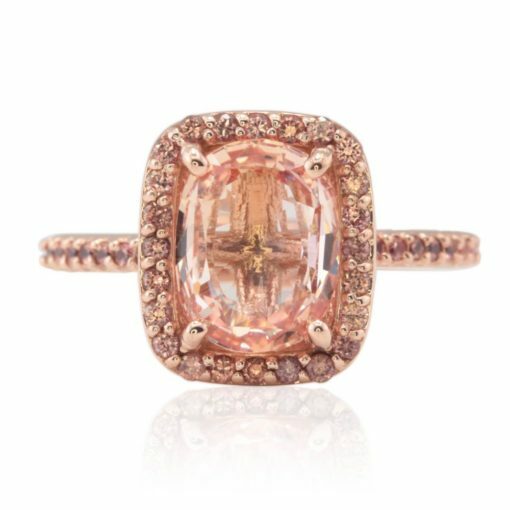 A special orangy pink sapphire color is called padparadscha, which means “lotus flower” in Sinhalese, the language spoken in Sri Lanka. Stones from Sri Lanka were initially the only ones labeled with this marketable name. Princess Eugenie has chosen a stunning padparadscha sapphire. 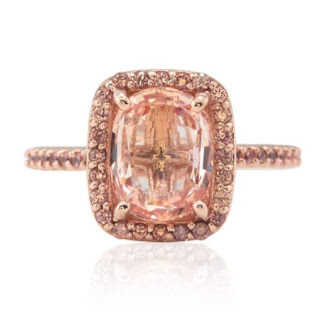 Padparadscha Sapphire Engagement Ring with Peach Sapphire Halo from Laurie Sarah Designs. Blue sapphires come from Burma and Kashmir, where the blue tone is the most pure to the true spectral blue, and the stones tend to have a unique velvety lustre. Sapphires from Sri Lanka are a less deep shade, almost a pastel blue. Many sapphires also come from Australia, which are dark blue but with a slightly green undertone, similar to those from Thailand. These tend to be less expensive than sapphires from Burma, Kashmir and Sri Lanka. Sapphires also come from Australia, Tanzania, Brazil, Kenya, Malawi, Western Cambodia, Nigeria and Columbia. Fine sapphires are available under two carats, but they can also be found in sizes from five to ten carats. The color of a sapphire is created by various amounts of iron and titanium in the stone, the combination of which produce varying colors. As they're a hard stone, sapphires can be cleaned in almost any way. Warm, soapy water is best, though you might also try ultrasonic cleaners and steamers. You can also try using water with a touch of ammonia in it. If you have a fracture in your sapphire or own a star sapphire, do not use mechanical cleaning methods as a sapphire can shatter with one single blow, if hit sharply. A ring similar to the Princess Diana / Duchess of Cambridge ring. In 18 carat gold with just under a carat of sapphire and 0.60 carat of diamonds, it costs £2,875.50 from The Fine Jewellery Company. 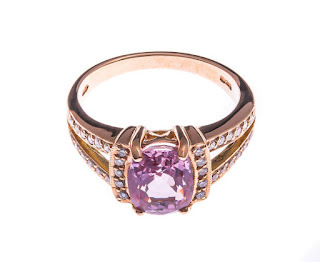 18ct Rose Gold 3.00ct Pink Sapphire & Diamond Cocktail ring, £2,301.75, from The Fine Jewellery Company. Isn't this gorgeous? 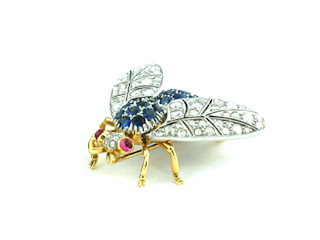 Platinum Diamond Sapphire bee brooch. Sapphire 2.81ct Diamonds 1.22ct. £3,950 from Lucie Campbell. 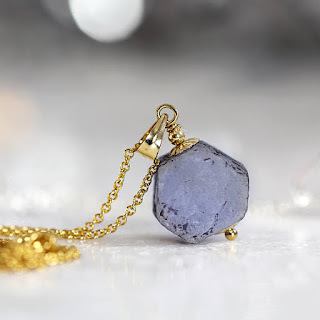 Raw sapphire necklace, £78.00, ArtiqueBoutiqueShop at Etsy. 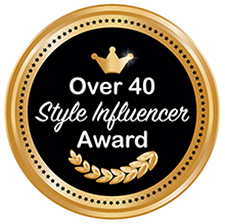 Sharing this post with Fake it Until You Make It at Fake Fabulous. Not forgetting my Pinterest jewellery board where you will find plenty more sapphires! I'm also liking raw cut stones lately - they have a sense of originality and rough hewn beauty. I'll look out for your sapphire ring. 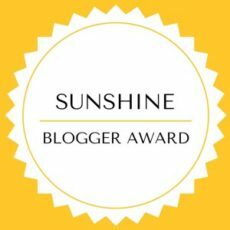 I have a sapphire engagement ring - look out for that one. Not sure how I missed this post. Well, I do know...I have been swamped since I started working fulltime. How 'bout you? Is your new job keeping you hopping? Ok, you know I loved the emeralds. Then came the peridots. And they became my new favorite. But I tell you, ole sapphire ain't half bad! Such a deep color. Like the pool of the deepest water. When I was a child, we picnicked at a park that had a spring-fed pool that was so deep that divers hadn't been able to reach the bottom. That water was the color of this gemstone!